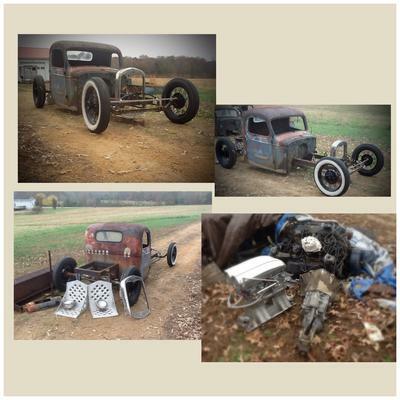 1/29/2014 (Lexington, Tennessee) - 1946 Chevy Ratrod project, new chassis, 4 link, coil overs 9 inch ford, new tires, 454 Chevy, T5 transmission tunnel ram 600 Holley's, keg fuel tank, bed, model a grille shell, custom made bomber seats and head lights. $7500.00 (NO TRADES). If interested or have any questions, call or text 731-571-9893. Located in Lexington, TN.